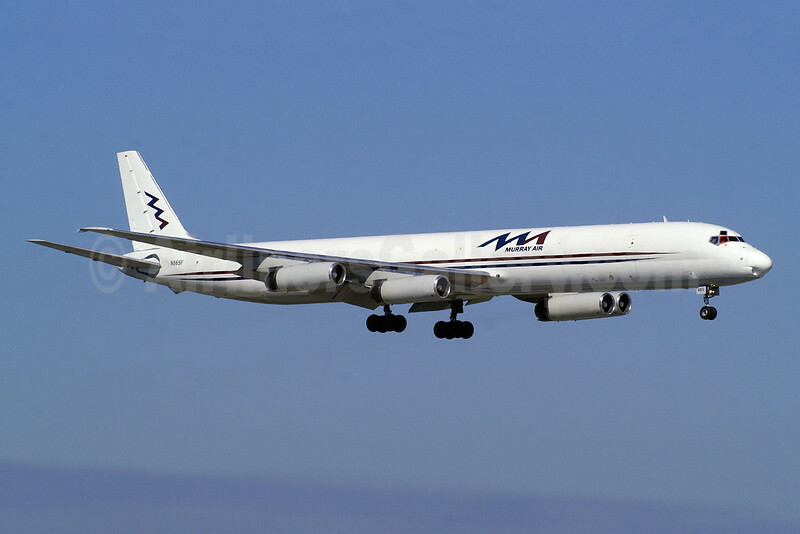 (5M/MUA) (Ypsilanti) 1986 - 2008 (became National Airlines 5th). Photos. Framable Color Prints and Posters. Digital Sharp Images. Aviation Gifts. Slide Shows. Murray Air McDonnell Douglas DC-8-63CF N865F (msn 46088) FLL (Wade DeNero). Image: 905328. Another view of Murray Air's McDonnell Douglas DC-8-63CF N865F (msn 46088) arriving on runway 9L at Fort Lauderdale/Hollywood. The veteran freighter was originally delivered to Overseas National Airways-ONA on May 29, 1969.